Training Runs | Trace B.
San Diego 100 finishing photo. 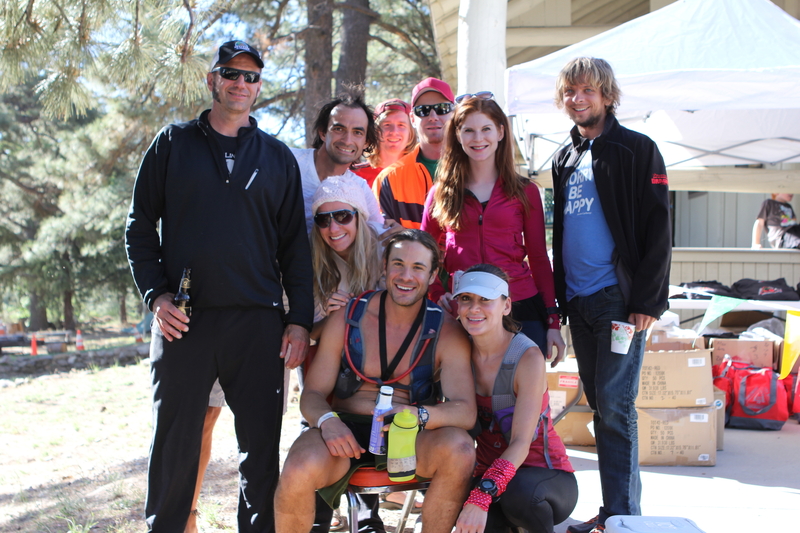 The major highlight of my training week was to companion D during his first 100-mile finish at the San Diego 100! Not only did he finish the race in record high heat with the lowest finishing rate (46%), he finished 25th with a 25:13 time! I am very proud of him and I hope to be the one crossing that finish line this time next year. The photo above was taken after shortly after the race with all our friends (racers/crews/pacers/volunteers) that were waiting at the finish line when we showed up at 8:13 in the morning. It was a long Saturday and Sunday for us all and we were very lucky to be able to spend so much time together in an environment that we love. *Really tough run for me in the heat; I wasn’t able to run seven consecutive tempo miles and ended up only doing 5.